Only 8 pages left to color for issue 2 before I move to digital edit and lettering. 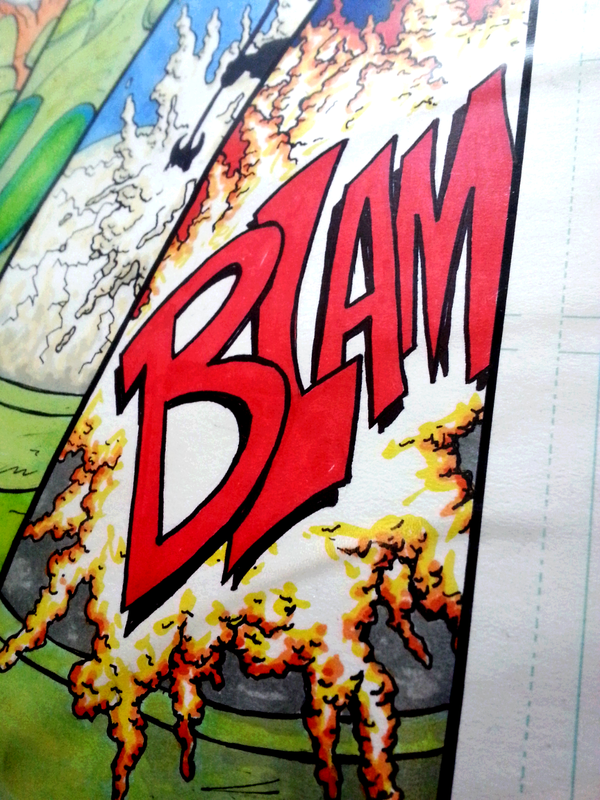 What you see is a detail of a page I just finished. I am really excited about this book and I think you will love it even more than the last. It has more back story development, solid action, and more expansion of others in the world. Things are just getting warmed up! Keep posted for more updates and extras!!! Next PostIssue 2 Coming Soon!